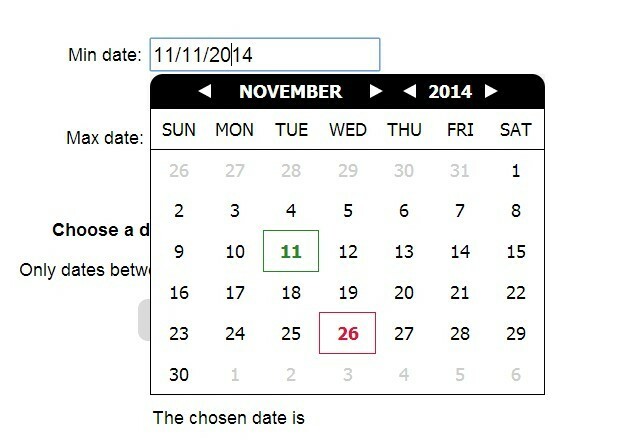 ngSimpleDatePick is a small AngularJS date picker using JQuery and momentJS. 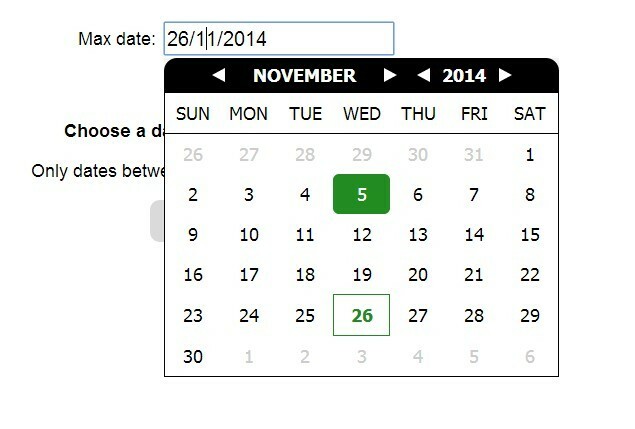 Supports min and max dates, so that only dates in between those can be picked. Works on inputs with ngModel or on a <div>, <span> or any other tag.